Riffle: "English is our language. No excetions"
"English is our language. 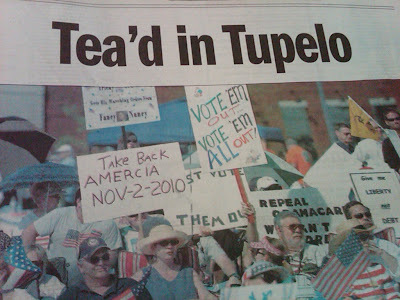 No excetions"
News reports on various Tea Party protests show a shockingly high incidence of poor spelling. I give extra points to those doltish nativists demanding an English-only jurisdiction via a marquee with comical errors. 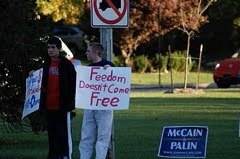 Pargon has collected a few illiterate examples in the rollicking Flicker set called Teabonics. A new national anthem for Ireland!